Dads like grilling and power tools. Dads like driving past rest areas until you threaten physical harm. Dads like frequent flyer miles and free t-shirts and yelling at the television. We have Burgundy. From clean, crisp, inexpensive, stainless steel fermented white Burgundy perfect for pairing with broiled perch to white burgundy from world famous vineyards that are full of rich aromas, flavors and textures. We have everyday red Burgundy that takes a chill and works well for sipping on the patio. And we have the world’s finest Premier and Grand Cru red Burgundy, many with the concentration and structure to match a well-marbled beefsteak. Join us this Saturday to sample a red and white wine that clearly uphold Burgundy’s stature as one of the most prominent winemaking regions in the world. Both wines are from family estates where fathers had a crucial role in the development of the domaine. If neither of these wines fit your vision for Father’s Day celebrations, we’ll have one that does. Dad deserves it. 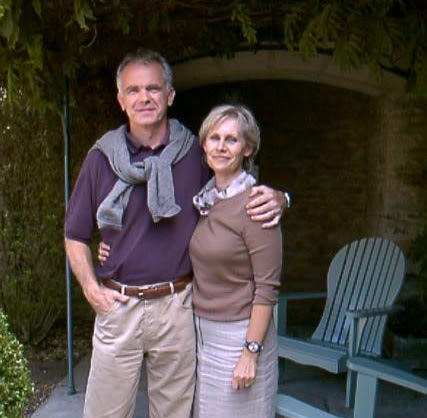 Husband and wife team Didier and Geneviève Darviot own several parcels in some of the premier vineyards of Meursault, Volnay, and Chassagne-Montrachet. 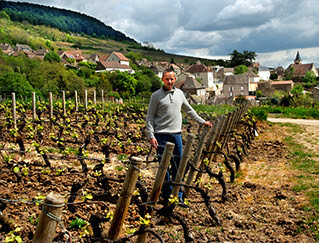 Didier learned how to make wine from Geneviève’s father, Pierre Perrin, a legendary winemaker in Meursault and Volnay. 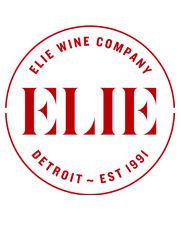 Their first bottling was in 1989 and due to their meticulous work in the vineyards and cellar they quickly gained an international reputation for the quality of their wines. The couple owns a half acre of very old Chardonnay vines in the lieu-dit “Les Magnys” contiguous with the Meursault vineyard of En L’Ormeau. The wine exudes aromas of ripe yellow fruits and a touch of spice and dry stone. A sip is concentrated and rich with honey and butter and finishes with mouthwatering minerals. It’s a Meursault by another name (and a lesser price). Didier Regnaudot’s very old Pinot Noir vines grow out of the steep hillsides in deep clay and fossilized limestone on the southernmost edge of the Côte de Beaune. One of the top producers in Maranges, Didier is the fourth generation to manage his family’s property in the town of Dézize-les-Maranges where he learned precision vineyard management and winemaking from his father, Jean-Claude. The wine comes from a 2.5 acre plot from the premier cru vineyard of La Fussière from very old vines, the oldest planted in 1930. Grapes are hand harvested and sorted in the vineyard. Fermentation takes place in concrete tanks and the wine is aged in oak barrels (40% new) for one year before being bottled unfined and unfiltered. Aromas of cherries, cocoa and cinnamon precede a mouthful of ripe fruit followed by a long and wiry finish. It’s a dark and structured red Burgundy and a lot of wine for the price.